When like today the temperature outside is in the mid-30s we tend to give up working in the vines by mid-morning and in the afternoon I seek out jobs in the cool of the winery. I also think that it’s quite cool in the other sense! 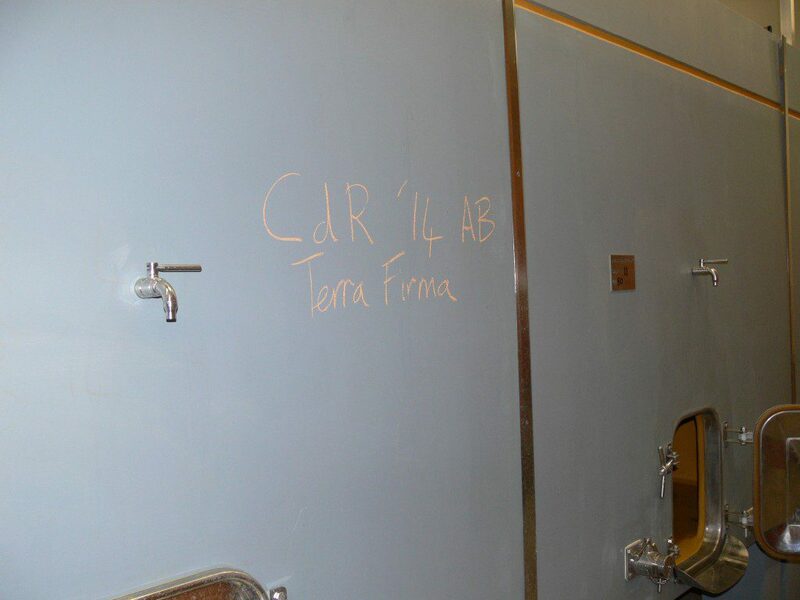 Here are a few photos showing the cuves containing the 2014 wines. The Côtes du Rhône – Terra Firma is in the large concrete tank. The Vinsobres is in the stainless steel tanks. 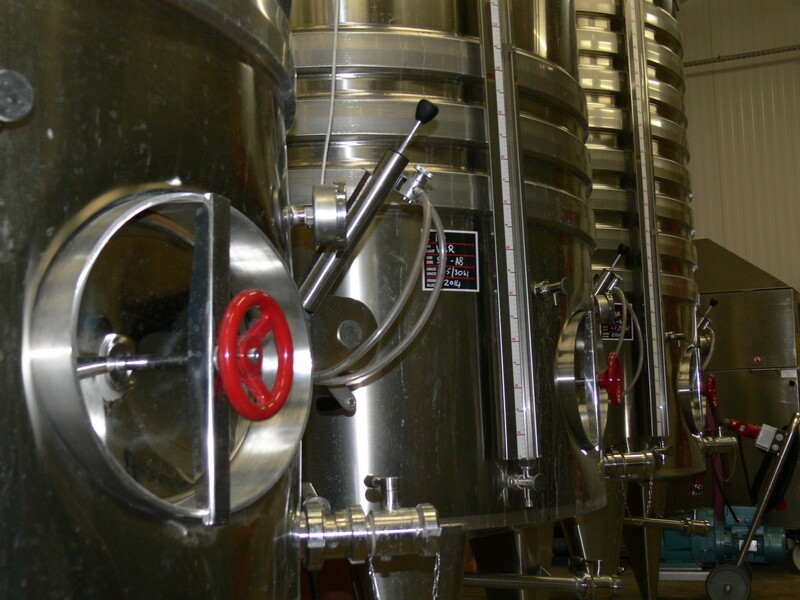 At the moment the Grenache and Syrah are still separate, but they will be blended soon and put into a concrete tank for maturation. 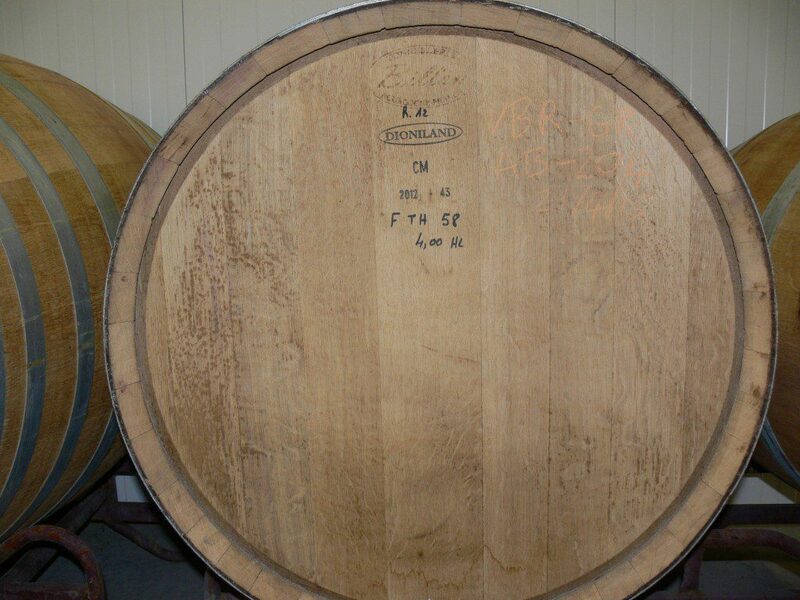 Also a shot of one of the barrels for the 2014 La Dame Anglaise. Again the Grenache and Syrah are still separate (this one’s Grenache), but we won’t do the blending until they have finished their barrel maturation some time this winter.